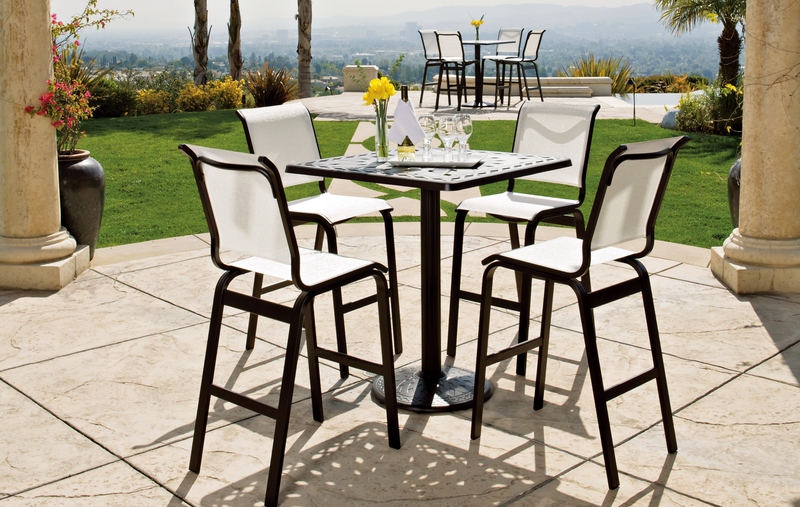 Commercial Outdoor Sling Bar Stools are on sale as part of our commercial grade outdoor furniture collection. We carry an array of sling bar stools from top manufacturers including Telescope Casual and Tropitone. Idea for all commercial settings on patios and poolside at restaurants, pool clubs and beach clubs.